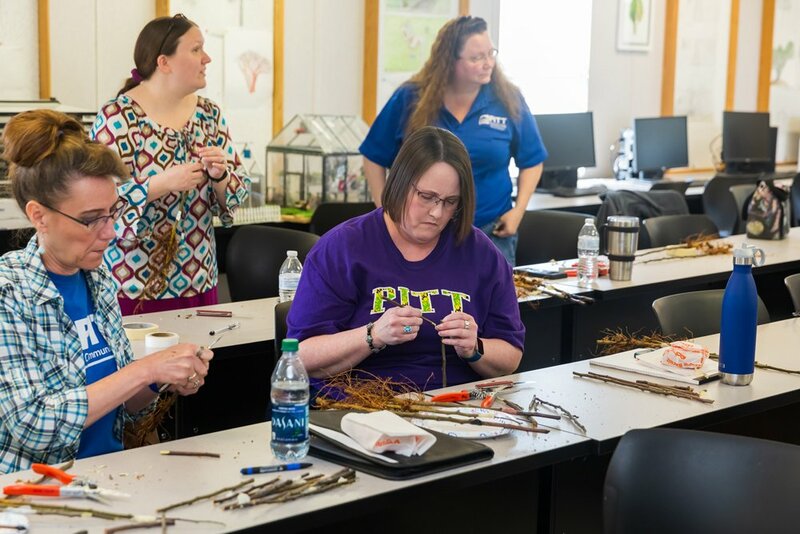 WINTERVILLE—The Pitt Community College Horticulture Technology program hosted a grafting seminar for employees on March 29. The hands-on learning experience featured Ronald Dollyhite, dean of Applied Technologies at Wilkes Community College, demonstrating the procedure for grafting fruit trees. His instruction covered several methods and techniques, including whip and tongue, cleft, saddle and omega grafts. Participants were able to take their grafted fruit trees home with them following the seminar, which was organized by the PCC Office of Teaching and Learning.